A research-based guide to navigating the newest dating phenomenon - "the love gap" - and a trailblazing action plan to help smart, confident, career-driven women find (and keep) their match. For a rising generation of young women, the sky is the limit. Women can be anything and have everything. They are outpacing their male peers in higher education and earning the corner office at work. Smart, driven, assertive women are succeeding at just about everything they do - except romance. Modern men claim to want smarts, success, and independence in romantic partners. Or so says the data collected by scientists and dating websites. If that's the case, why are so many independent, successful women winning in life, but losing in love? Journalist Jenna Birch has finally named the perplexing reason: "the love gap" - or that confusing rift between who men say they want to date and who they actually commit to. 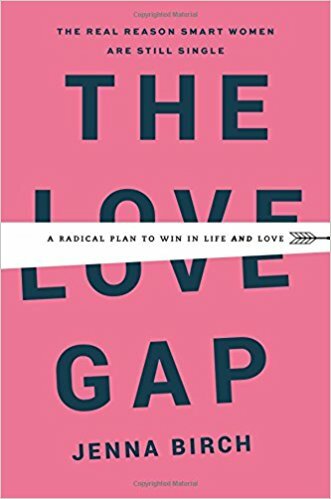 Backed by extensive data, research, in-depth interviews with experts and real-life relationship stories, The Love Gap is the first book to explore the most talked-about dating trend today. The guide also establishes a new framework for navigating modern relationships, and the tricky new gender dynamics that impact them. Women can, and should, have it all without settling.